Description: New genuine Acer Aspire laptop upper case palmrest. 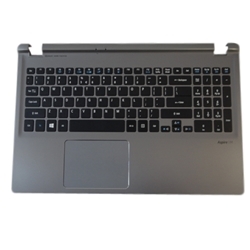 This upper case includes the keyboard and touchpad. This original part is grey with black keys and has a backlit keyboard. This part is for the Windows 8 version only.